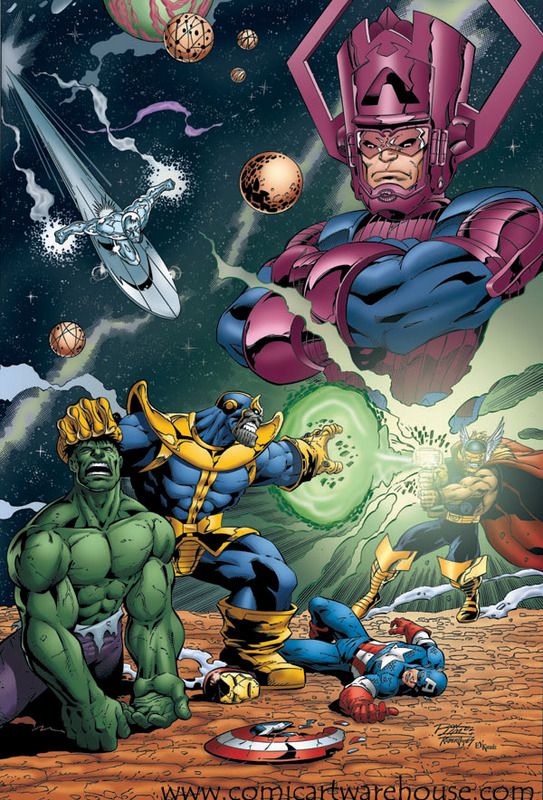 Foresight Chronicles: The Blog: Where will Avengers go from here? Where will Avengers go from here? I thought I'd save this post for here. I was originally going to post this in my Avengers review but that got kinds long. Everything we've seen in the Marvel films was only phase one. Time for phase two. Loki got his army from Thanos, the mad god of Titan! We learn this at the closing credits scene when Thanos is told to face the Earth's forces would be like courting death. Thanos simply smiles. Why? Because in the Marvel Universe, concepts like Love, Hate, Eternity, Chaos, Order and Death all exist as cosmic beings. Thanos is in love, nay, obsessed with Death. He wants to court her. 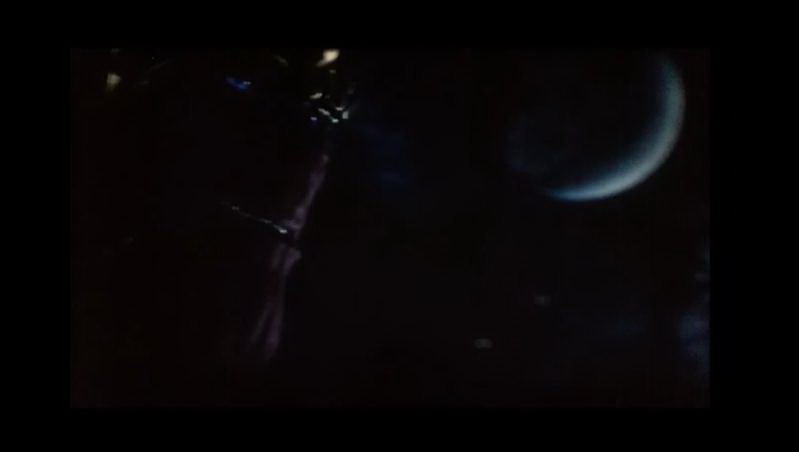 I figured we might see Ultron or Grim Reaper or the Masters of Evil or something more home grown (i.e. Avengers threat that comes from the Avengers themselves) in the sequel. But Thanos? As in Marvel's version of Darkseid? As in the user of the Infinity Gems who, in his obsessed desire to court Death, once destroyed half the universe? That Thanos? Jeeeeze. We need more heroes! Back up that sequel and introduce new heroes in every movie. Ironman 3, Thor 2, Cap 2, the mystery Marvel movie, all of them. You don't have enough time and to show this big bad's power correctly, you'll need plenty of heroes! Ironman 3: Sure, give us those plans already leaked online, a variation of the Extremis story with Ben Kingsley's Mandarin lurking in the background and Black Widow cameoing. Maybe set up Ms. Marvel as Carol Danvers. Also make reference to Hank Pym (Antman, etc) and Janet Van Dyne (the Wasp). Reference Wakanda and their mysterious king, the Black Panther. Show the old Stark mansion and we meet the man Tony's computer voice is named for, his family British btler, Jarvis! Thor 2,: show Loki trying to get into the Hall of Artifacts because his hidden benefactor wants something there. But Loki fails, this time. Make mention through Thanos' off screen voice of the Guardians of the Galaxy and what pests they are. While Thor visits the 9 realms with Jane Foster, maybe have a cameo of Hercules. Sure, he has no reason to be visiting the wrong set of gods, but there is no reason he cant, either. Maybe drop a clue about Earth's magic and show hints to Doctor Strange and the Scarlet Witch. Captain America 2: While dealing with AIM and MODOK set up in Ironman 2, introduce Falcon, drop another clue about the Pyms, and guest star Hawkeye. Maybe hint at Winter Soldier. Bucky is alive? 1st choice Antman (showing us Hank and Jan with some foreshadowing of Ultron, following on the prior hints. 2nd choice, Black Panther, following on the hints. 3rd choice Doctor Strange (gust staring Scarlet Witch and Quicksilver. She could be his apprentice) following up on hints. Avengers 2: Do a more character piece like Marvel has said they want to. Stark sets them up with a mansion and his old family butler, Jarvis. Bring in the heroes from before but have Antman, Wasp, Scarlet Witch all join. Maybe others. Have Ultron rise up.Fun robot invasion big time smash up. Vision is unleashed on Avengers and switches sides. More hints to future. Carol Danvers shows up at end of film, been abducted by aliens (the Kree) and now has powers. If Antman isn't the Marvel Mystery Movie, then do something that brings in Doc Strange or the Panther. Maybe a Masters of Evil story that brings in Panther or a magic story that brings in Strange and the Witch? New Marvel movie 2: One of the other options that didn't get done before complete with above notes. New Marvel movie 3: One of the other options that didn't get done before complete with above notes. 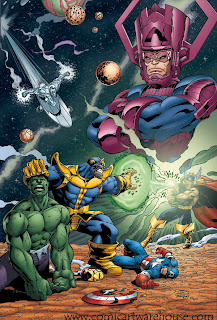 2016 and 2017 would continue the trend with the next set of sequels, with the purposed Guardians of the Galaxy movie leading into Avengers 3 where everyone has a smack down with Thanos. Whew! Yeah, cameo heavy. Still, we'd have tons of things ready for Thanos. Those are my 2 cents. What's yours?